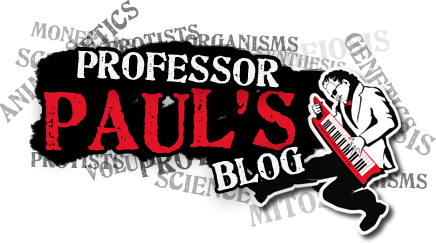 Hi this is "Professor" Paul O. Briones and here are the Lesson Plans that I promised. These Lesson Plans can be integrated into your C-Scope Curriculum. 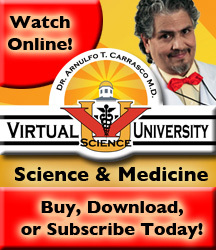 After week one, you will have to subscribe to Virtual Science University to continue uploading the lesson plans. Those of you who may want me to demonstrate a full lesson using the integration between Virtual Science University and C-Scope contact our office at 1-877-920-5550 or send us an e-mail contact@virtualscienceuniversity.com Here are the Biology Lesson Plans for Week One: Have a Great First Week of School! First Day of School Give Letter of Expectations and introduce yourself as a teacher. Personalize your introduction so that you can begin to create bridges with them. If they don't buy in and believe that you are real and that you care about them, you will have a hard time getting them to take ownership of their learning. Administer Seven Intelligences Checklist by Howard Gardner Ph.D. You can find this check list along with the pie diagram at http://www.educationalvoyage.com This website has the Seven Intelligences Checklist along with the Ruberic at the end of the checklist. Grade Checklist using the Ruberic: Grade in the following manner: 11 checks----Strong Intellect 10 checks----Moderate 9 checks----Light 7-8 checks----Leaning This is my interpretation of the adaptation of the Multiple Intelligence Model by Howard Gardner, PhD. If you have 24 students in a class or Lab, set up your Lab Groups in the following way: You should have six Lab Groups. As Group Leader, you should have a student who has scored an 11 in a given intellect. The ideal Biology Class would have six groups with each group having students with different strong intellects. For example, Group One would be Strong Mathematical-Logical, Group Two--Strong Linguistic, Group Three-Strong Musical-Rhythmic, Group Four--Strong Spatial, Group Five---Strong Kinesthetic, Group Six---Strong Interpersonal For example if you were to do a Lab on Osmosis and pH of certain foods that most Americans consume. They are to collect all data, document it, identify control, independent, and dependent variables, see VSU Lecture Three on the Scientific Method with the song "PHAT CAC". Extrapolate and interpolate data, make a Power Point Presentation, and create a song or a poem over the concepts that were studied. The Strong Mathematical Logical Student will collect all data and analyze it according to various variables and extrapolate the data, the Kinesthetic Student would excel in setting up the experiment and conducting it, the Musical-Rhythmic Student would create the song, the Linguistic Student would create the poem, the Spatial Student would set up the Powerpoint, and the Interpersonal Student would deliver the PowerPoint Presentation in front of the class. An ideal Lab Group would have four different strong intellects represented. This will be the ideal group but also could create much conflict in learning to work with each other. The idea is to balance your lab groups . Day Two: Give a Motivational Speech or invite someone from the community who has the gift of relating to young people. With that speech, make sure the content contains the verbs outlined in A thru D below. A.) Identify them: They are a gifted child and for that reason they are a gift from GOD. It is up to them to find their giftedness and for us to identify it and refine it…turn it into GOLD! B.) Empower them: Help them see their worth in relationship to the school. Use the school's mascot, colors, and tradition to instill pride and ownership into them. C.) Engage them: Set up an activity where they see themselves and use the results from the Multiple Intelligences Checklist and the Myers-Briggs Inventory Profile to explain to them where their potential intellectual giftedness is and their intellectual preferences. More to come about the Myers-Briggs Personality Inventory at a later time. I will provide a link to this checklist at the end of this booklet. Tell them it is up to both you the teacher and he/she the student to work on refining their intellectual capacity and helping them attain it to the highest level. D.) Impact them: Go to any of my lectures and find the "Tough It" song segment that you and the students like. Have them learn the words and the rap. Tell them you will have them sing the song to themselves as a class. You can roll video from my lectures on the computer and let them sing along with me to the song "Tough It". Collect Letter of Expectations that you gave your students the first day to take home and get signed. Day Three: Make Copies of all of my songs that are found in my VSU Lectures. There are 17 songs and counting, more to come later. There is a list of all of these songs at the end of this booklet. Have students learn the lyrics and the melodies to the songs. When you have a few minutes left in a period, go to a particular song and have them learn it. This will keep your students engaged at all times. Day Four: Give a Science Benchmark. Use the previous year released TAKS Science Test from TEA for the appropriate grade level. You can download the test and answer key from the TEA website. Give them two days to take the released TAKS Test. Grade them immediately so that you can see where their strengths and weaknesses. Day Five: Continue with Science Benchmark. If they finish with their Benchmark early, have them read about Lab Safety from their assigned textbook. If they have an i-phone or i-pad and your school district allows them to use their i-phones or i-pads as instructional tools, send them to You Tube and have them access the Virtual Science University Lecture on Safety. Tell them they will be watching the full lecture on the next academic day.